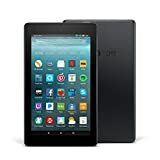 Whether you are looking to downsize your physical book collection or checking for an easy on-the-go entertainment option, Amazon offers an excellent variety of tablets to meet those needs. Originally known for their Kindle e-readers, Amazon has also introduced an iPad competitor with their Fire series. 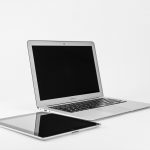 This article breaks down the current available Amazon Fire and Kindle options available to help you make the best selection for your needs. 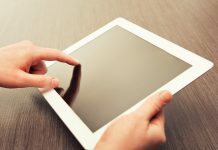 Purchasing a new tech device typically comes with a variety of questions and considerations. 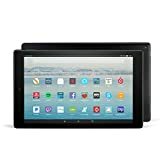 Before we dive into reviewing the top Amazon tablets, let’s go over some frequently asked questions related to this purchase. A tablet is a small, personal electronic device. 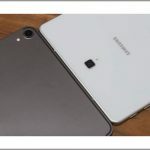 They are bigger than a cell phone, but smaller and more portable than a laptop. A tablet is a great way to enjoy entertainment on-the-go. If you travel frequently, take public transportation to and from work, or even want to encourage yourself or your child to read more, a tablet can be an excellent tool. The Amazon tablets reviewed here range from fifty up to almost three hundred dollars. 4. Can a Kindle read .pdf files? Yes! You can also link your tablet to a local library account to enjoy free books and audiobooks. We want you to feel as confident as possible with your new tablet purchase. When compiling the reviews below, we made sure to factor in both price and value into our ratings. 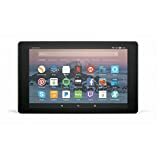 We also read countless customer reviews to see what real users thought of each product, and we hope this best of list helps you narrow down the options available so that you can find the right Amazon tablet for your needs. With devices as low as fifty dollars, there is likely an Amazon tablet available for any budget. If you are looking for an all-in-one entertainment tablet, focus on the Amazon Fire tablets. 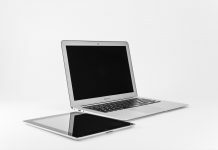 As the price increases with these devices, you’re getting faster processing power plus more memory and storage options. 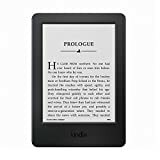 If you are in the market for a dedicated e-reader, the Amazon Kindle series is unparalleled. 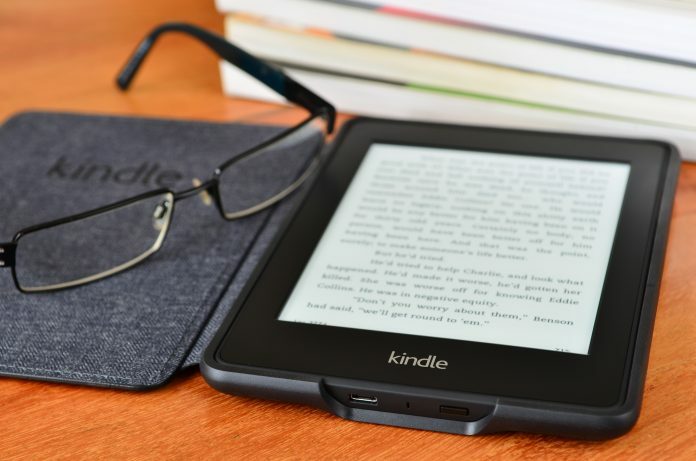 The basic Kindle starts at eighty dollars, and add on features like Bluetooth connectivity, high screen resolution, and more storage pushes the price up to three hundred. Before looking at the reviews below think of the primary use of this device. If you want to be able to read books, watch movies, and use social media on a single device, focus on the Fire series. 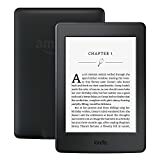 Whereas, the Kindle series is the best option for a dedicated electronic reader. Take photos or record video up to 720p with the rear-facing camera and use the front-facing camera for video calls with family and friends. 2-Year ‘Worry-Free’ Guarantee. If it’s broken within the first two years of purchase, return the device for a replacement. Longest Kindle battery life--the included leather charging cover can boost battery to months. Choose from a black, merlot, or walnut removable cover. High-resolution glass screen is specifically made to feel like paper and provide a crisp display. 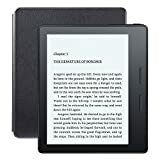 The Voyage has many similar elements featured in the Kindle Paperwhite including Smart Lookup, Time to Read, adjustable text size, margins, and text features. Hopefully, this article narrowed down the Amazon tablet choices and helped you pick a winner. Since we reviewed several different types of tablets, we have three categories for the top picks: Fire, Kindle, and Kids Edition. The stand out Amazon Fire tablet is the Amazon Fire 10 HD. With it’s ultra-clear HD display, 10-hour battery life, and access to a wide variety of entertainment apps, the Fire 10 HD is an excellent all-around tablet. 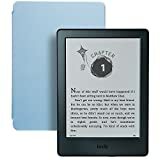 If you are looking for a sleek e-reader that is designed for easy reading on the go, the Kindle Paperwhite is our pick. It has an excellent balance of cost and features that make it a high-value purchase that will last years. 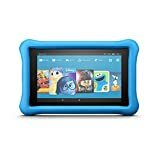 Finally, if you are shopping for children, the Amazon Fire 8 HD – Kids Edition tablet is a solid option. With built-in parental controls and a kid-proof case, this tablet will provide access to countless books for your kids to enjoy, plus a variety of additional entertaining apps for long trips or weekend free-time.